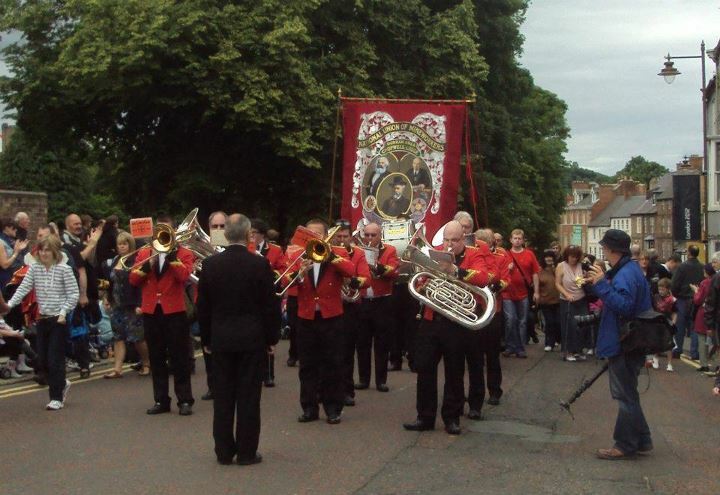 Durham Miners Gala; ditch Labour to fight the cuts! 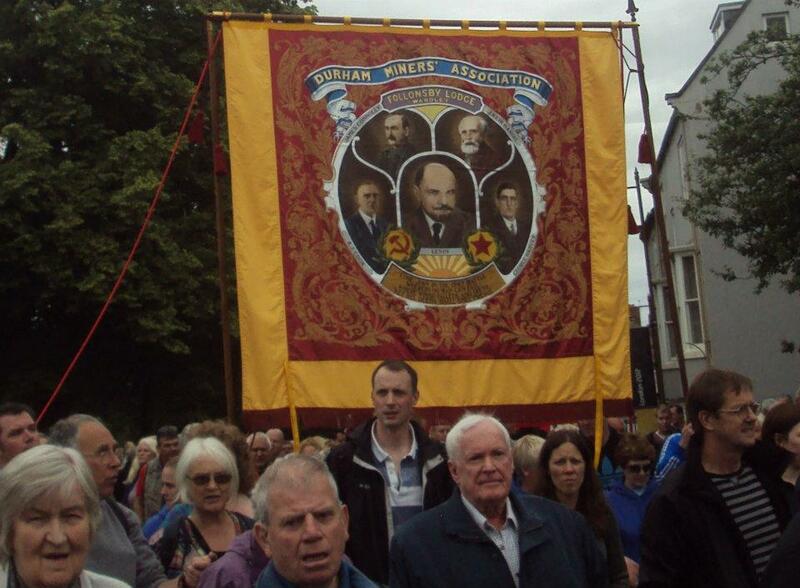 This year’s Durham Miner’s Gala saw thousands upon thousands of ordinary working class men and women descend on Durham to celebrate working class history and culture. 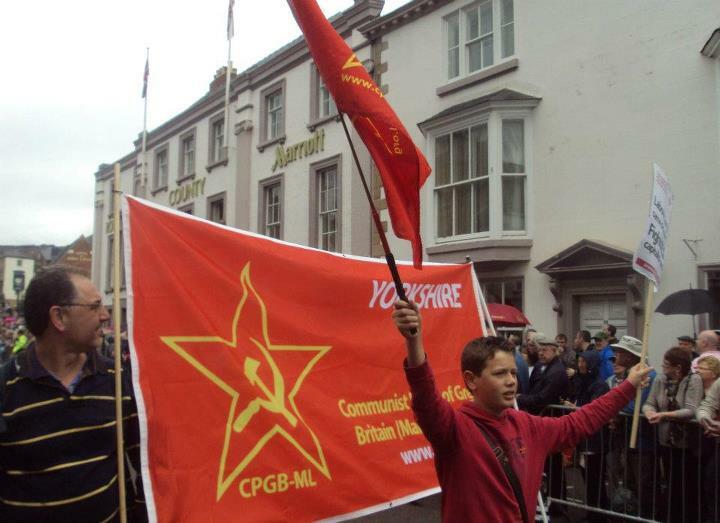 It was clear from the overall mood of many who attended that sections (a minority but conspicuous by it’s presence) of the labour movement are finally beginning to wake up to the reality that cuts must be opposed no matter who tries to introduce them, that the working class needs to move to promote it’s own interests and not those of a small aristocracy of labour who continue to try their very best to link the interests of the working class with those of imperialism. 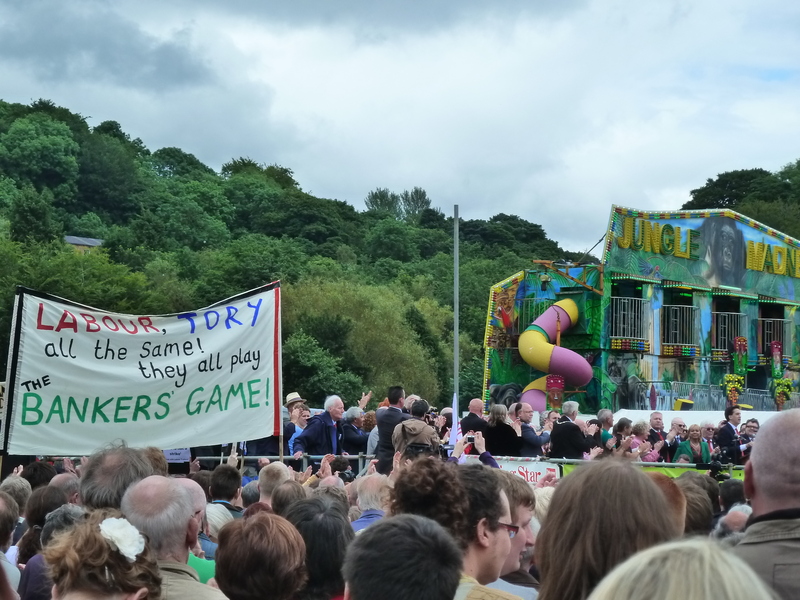 Despite the organisational stranglehold still asserted by Labour Party bosses over the event – there were plenty of examples of working class people who would have no truck with Labour or Tory arguments for cuts. 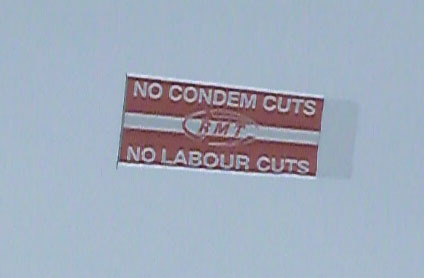 The appearance of Ed Milliband on the stage was met with an apt banner, provided by one of our most militant and class conscious unions the RMT, the banner was pulled by a small aircraft across the sky. Circling the old racecourse it read “No ConDem cuts – No Labour cuts”. 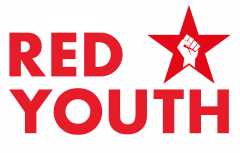 A major cause of disorganisation amongst workers has been the confusion spread by social democrats over the real nature of the capitalist crisis, which they present as a temporary blip to be sorted out by the next Labour government via ‘sensible’ cuts and some economic pump-priming. But nobody should doubt the scale of the crisis we are entering, or believe that it is just being ‘talked up’ by the Tories to scare us. Behind the debt crisis that is undermining the US economy and tearing Europe apart lies a deep-seated overproduction crisis that has been brewing for over three decades. More commodities have been produced globally than can be sold at a profit on the market – not because the world’s needs have been met, but because people just cannot afford to buy them. The problem is further aggravated when capitalists, desperate to beat the competition, slash wages and reduce the workforce, thereby further reducing the masses’ spending power and adding another twist to the spiralling crisis. The good news is that the same capitalist crisis is also chipping away at the material basis for opportunism, since the ruling class can no longer afford to spend so much on buying off its opponents. 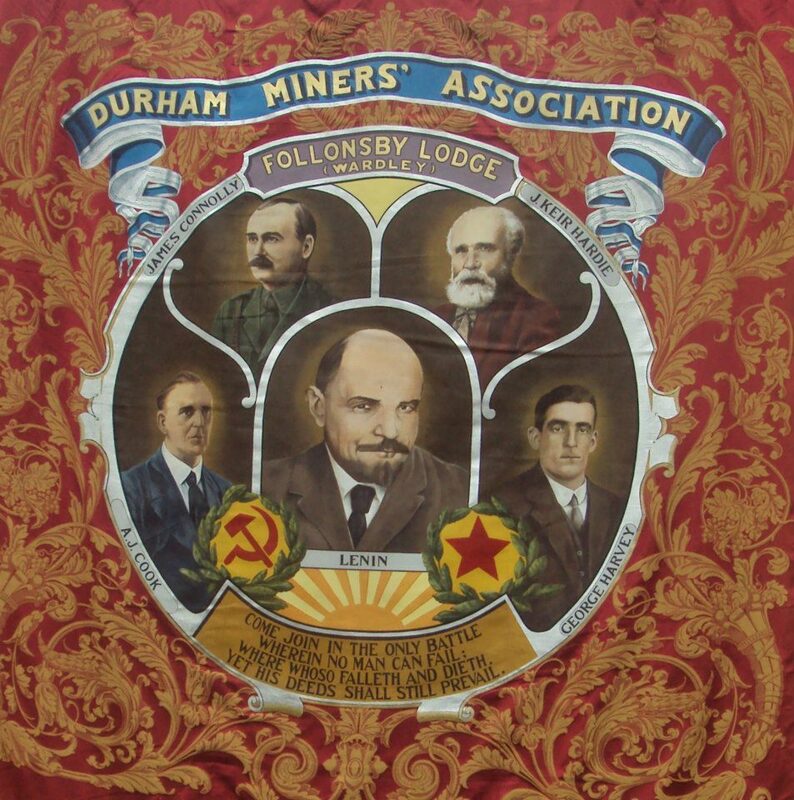 The time is ripe for the working class to move from cynical mistrust of the Labour traitors to a confident assault upon their stranglehold over organised labour. Ditch Labour to fight the cuts!